There is no denying the fact that customer service is important to small or mid-sized business. The quality of that service will either enhance or degrade customer loyalty to your brand and your business. Customer service is a top priority, it makes a difference to a brand’s reputation, customer loyalty and revenue. Global brands are increasingly taking advantage of bulk sms to connect with customers and improve customer communication and engagement. According to research, companies that prioritized customer experience had a 10-15% increase in revenue and a 20% increase in customer satisfaction. Technology is one of the biggest drivers of change within any industry and in any niche. The goal of your business in terms of its customer interactions is to generate loyalty. There’s no better way to do that than to offer quality products and services and to be responsive to your customers. But as new technologies have come to market to make it easier for businesses to provide customer service, they may also be increasing the number of channels through which you interact with customers and the complexity of those interactions. When it comes to customer service, customers want results. 4 in 5 customers are frustrated with being dependent on a phone call or computer for customer service. Research says, more than 50% of your customers would prefer bulk text messaging over their current form of communication for customer service or support. You can combine the simplicity of SMS messaging with the sophistication of automation. By sending an automated acknowledgement when a customer texts with an issue, you reassure them that you’re on the job. 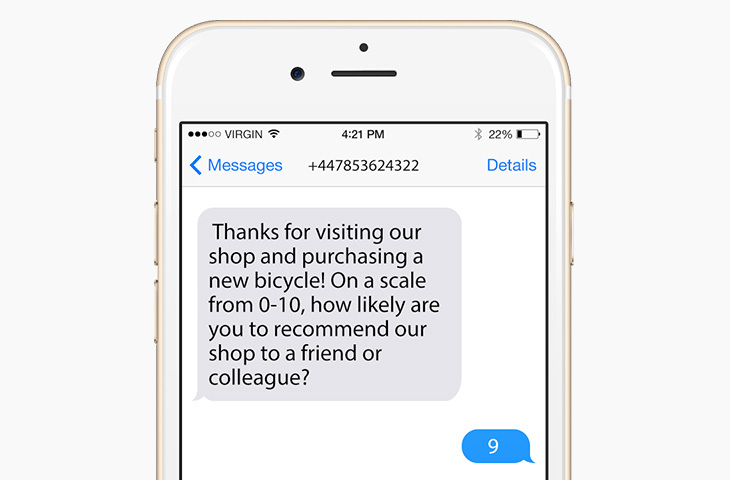 Once a service interaction has finished, confirm it with an automated bulk text so that you end your communication on a positive note. Keep customers informed during their buying process. Whether you realise it or not, a large percentage of your customers would like the opportunity to contact you via SMS when it comes to customer service issues. Research states that 30% of customers say SMS-based customer service is less frustrating than any other form of customer service or support communications. The convenience factor, for both customer and business, is a huge draw and customer expect you to cater to them. Scheduling service requests or convenient call-backs. Keeping customers up-to-date with stock or shipping. Explaining to customers, after purchase, the best way to use a product. These are only a handful of possibilities when using SMS for customer service. Once you’ve exchanged SMS messages with a customer for customer service purposes, you’re opening opportunities for marketing as the customer has opted-in, you can then send them future promotions, news, and coupons. Using SMS as both a promotional tool and a customer service channel will be of benefit to any company – it’s clear to see how good customer service (which produces organic traffic and creates brand advocates) has become a valuable form of marketing in its own right. Today’s consumers are more demanding than ever before; they want an experience that is fast, hassle-free and provides prompt resolutions to their problems. SMS services help small businesses exceed these expectations and deliver exception experiences that keep customers coming back. We know customer service is a priority. So make sure you’re using the best platform to reach all of your customers quickly and efficiently. Sendmode is the leading supplier of simple, reliable, low cost bulk SMS, Mobile Websites, and Mobile Marketing services available to hundreds of organisations. Thanks for reading, we hope you found this blog helpful. This article was posted in Blog - All Entries, Bulk SMS Marketing Tips and Advice and tagged Bulk SMS, Bulk Text, Customer service, sms marketing.